My first book, Eradicating Female Genital Mutilation: A UK Perspective, was published one year ago today. It was at last available in bookshops and on the websites for all to access and read. For the past half decade I had been trying to understand, and compose text to explain, the massive complexities of FGM and then the many efforts to make it history in different parts of the world. I hope that work will help as we all strive to #EndFGM. 12 Will FGM in the UK be Eradicated in a Decade? Eradicating Female Genital Mutilation: A UK Perspective (Ashgate/Routledge, 2015) is available in paperback, hardback and e-format from the publisher or from Amazon.co.uk/ Amazon.com, and from high street and university booksellers. Hilary’s book Eradicating Female Genital Mutilation was launched on 4 November 2015 at The Guardian offices in London (introductory talk here) and six months later, on 10 May 2016, both her books on FGM (see below) were presented at a reception hosted by the Norwegian Embassy for the Inter-African Committee FGM Conference at the United Nations in Geneva. In October 2016 Hilary was awarded a Certificate of Appreciation at a Washington DC, USA Global Woman P.E.A.C.E. Foundation event, for her two books: Eradicating Female Genital Mutilation: A UK Perspective (2015) and Female Mutilation: The truth behind the horrifying global practice of female genital mutilation (2016). This book should become a standard for everyone who is seriously and/or professionally interested in the subject and in contributing to its end. Hilary Burrage achieved her goal in facilitating the understanding of FGM and its context, the comprehension of its complexity and the difficulties in ending it. The book gives ideas regarding the existing approaches and goes beyond in triggering the development of alternatives/modifications. The author managed to consider every crucial aspect there is. I can completely confirm Tobe Levin’s foreword, especially calling this book a “guide” that is “scholarly yet accessible”, regarding the large target group of readers with various educational and cultural background. This book is primarily not written for those in favour of FGM, but they should read it with the same attention FGM opponents are studying their reasoning. It might facilitate the dialogue. 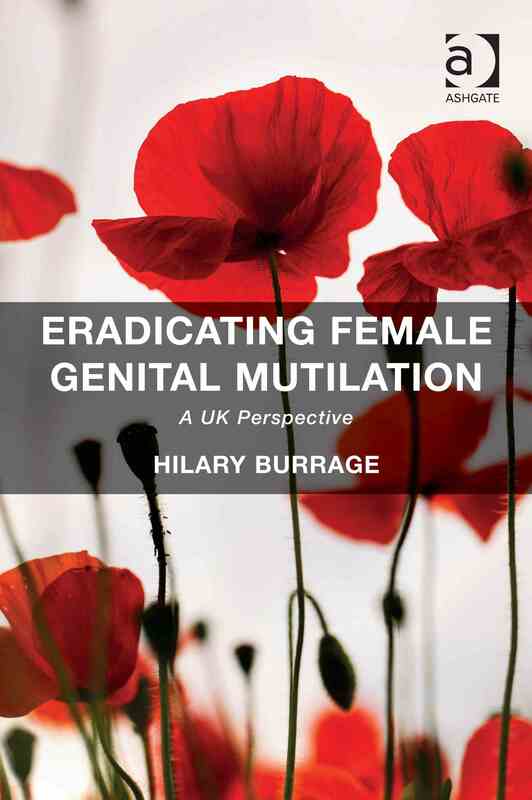 Hilary Burrage’s intention is clearly to contribute to end FGM, based on at least two essential factors well described in the book: Firstly, members of performing communities themselves are actively trying to end the practice since decades, leading to the second which is a legislation against FGM in many countries including those where FGM originally occurs, making it a crime. She discusses the means to support the efforts to end FGM on the grounds of a socio-economic analysis, shedding light on the various preventive approaches (with their difficulties) on national and international level, the legal aspects (especially in the UK) and their sometimes controversial consequences, and last but not least the social, medical and psychological care for women and girls with FGM. Each chapter of the book is an invitation to open discussion and further reasoning; the author prepared an online platform for this [here]. “It also contains very useful information at the end on further reading…. Pending further notice, discussion of the general issues re M/FGM will not be published unless they are posted on this dedicated page. Thanks.